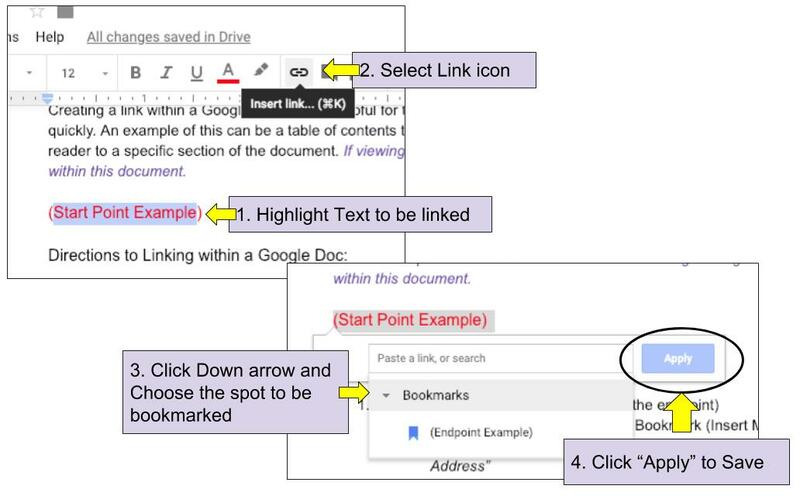 Creating a link within a Google Doc can be helpful for those reading to reference something quickly. 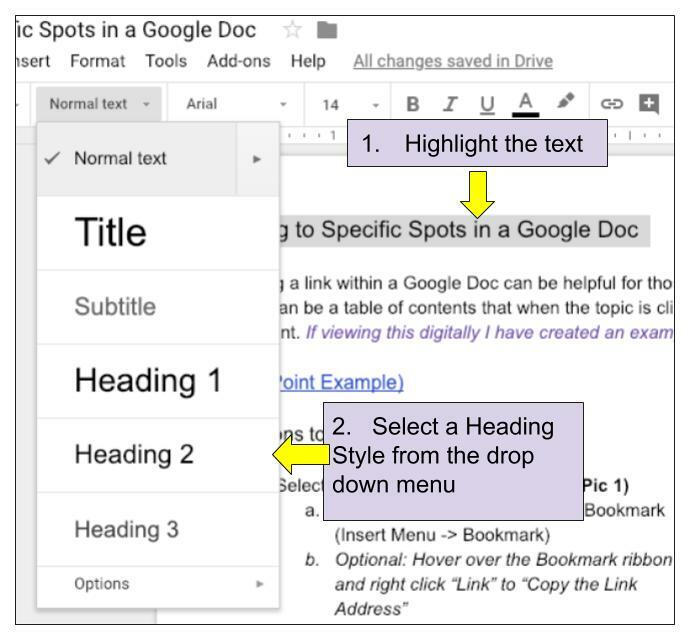 An example of this can be a table of contents that when the topic is clicked will direct the reader to a specific section of the document. 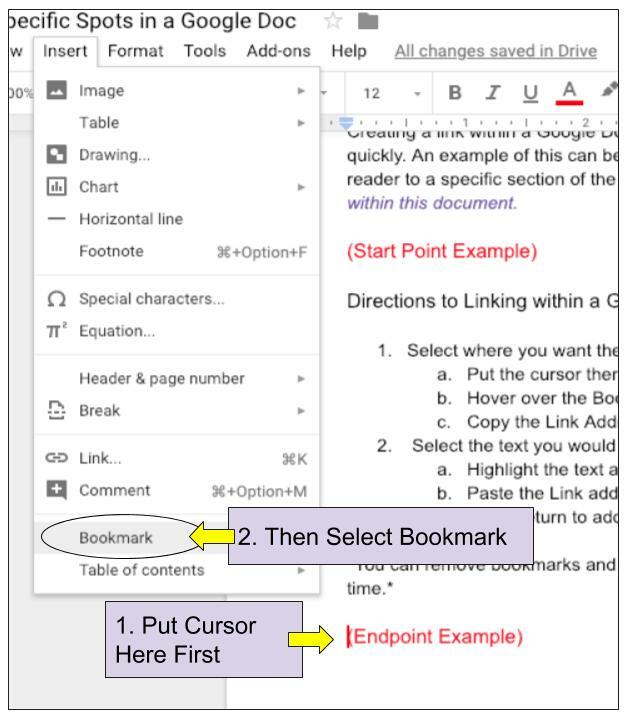 This is very similar to linking using Bookmarks with the exception that you are going to change the text style instead of inserting a bookmark.